We require minimum of 48 hours’ notice prior to the date of arrival for all cancellations or amendments to accommodation reservations. Any change to the arrival date, departure date or room type of this reservation is subject to the hotels availability at the time the change is requested and may result in apossible rate change or an additional fee. Non-refundable bookings have no option to cancel or receive a refund at a later date. Bookings made via an online agent such as Booking.com, Expedia or Ctrip must be cancelled by the guest via this agent before Haka Hotel is able to formally cancel the booking. Haka Hotel will operate within the Consumer Guarantees Act & Fair-TradingAct. All rates displayed are in NZ dollars and are inclusive of taxes. We use dynamic pricing and the price of our rooms, products and services fluctuates based on demand and other factors. Before confirming a reservation or purchase, we will provide you with a total price for the requested number of rooms and nights, together with the charges for any additional products or services you may have added. Depending on the room rate selected, payment may be due at the time the reservation is made through our site or at a later date, such as upon check-in at the relevant hotel. Unless otherwise indicated extras such as airport shuttle, breakfast and other gratuities are not included in the rate but you may be able to add them to your reservation during the booking process or they may be available to you during your stay. Prepaid promotional deals are non-refundable and non-transferable in the event of cancellation, modification or no-show. Payment of the full booking amount plus a security deposit of $100 is taken as a credit card pre-authorisation at check-in unless the booking is a non-refundable rate plan. Non-refundable rate plan bookings will have full payment taken at time of booking, and the security deposit taken as a credit card pre-authorisation at check-in. The pre-authorised amount taken at check-in is set aside by the credit card company until check-out when we complete payment, charge any additional room charges and release any remaining funds. Released funds will take up to 7 working days to return to the guest’s account depending on the bank’s policy. Please see below for further information about pre-authorisation and deposit amounts. For bookings longer than 7 nights, it is necessary to repeat the above payment and pre-authorisation process every week period of the stay to ensure that both are valid. Payment and pre-authorisation prior to check-in will be taken from the credit card registered to the booking unless otherwise organised. Payment and pre-authorisation at check-in can be made with any credit card held by the named guest alongside valid photo identification. Please be aware that to use the card registered to the booking the guest must have this card present at check-in. If this card is not present the cardholder must complete a credit card authorisation form before check-in can be completed. Guests wishing to pay with debit card or cash must pre-pay the full booking amount at check-in. A credit card is still required for the pre-authorisation. In the event a valid credit card cannot be provided, a cash security bond of $200 may be accepted by prior arrangement and released upon full room check. Haka Hotels are not responsible for currency conversion and therefore any questions regarding currency conversion must be directed to your bank. A credit card surcharge of 2% for Visa and Mastercard, and 3.5% for AMEX will apply to all payments made at the hotels. All reservations must be guaranteed with a valid credit card at time of booking. We pre-authorise all credit cards for a nominal amount on the day of booking to check for validity and sufficiency of funds. Please note this process validates the presented credit card, and protects both the cardholder and merchant from increasing fraud incidents. A deposit is not required at time of booking, except for Agent and Advance Rate Group Bookings. We pre-authorise a credit card at check-in for any charges we determine that the guest may be likely to consume during their stay. This also includes an amount to cover a security bond / deposit for damages. The pre-authorised amount of $100 is set aside by the credit card company for a period of up to 7 days after check-out. The pre-authorisation will affect your available funds and / or spending limit. For more information on this practice we suggest the cardholder contact their card issuer. No money is taken from your credit card but it will show as a 'Pending Transaction' and you may choose to use a different payment type to pay your final bill. We require a minimum of 48 hours’ notice prior to the date of arrival for all cancellations or amendments to accommodation reservations. Any change to the arrival date, departure date or room type of this reservation is subject to the hotels availability at the time the change is requested and may result in a possible rate change or an additional fee. Non-refundable bookings have no option to cancel or receive a refund at a later date. Bookings made via an online agent such as Booking.com, Expedia or Ctrip must be cancelled by the guest via this agent before Haka Hotel is able to formally cancel the booking. Haka Hotel will operate within the Consumer Guarantees Act & Fair-Trading Act. We may cancel your reservation at any time with immediate effect by giving you written notice (which includes email) if you do not pay us when you are required to do so or you breach the contract between us in any other material way. If we cancel your reservation where you are at fault, we reserve our legal rights in respect of your breach of contract. We may also cancel your reservation if an event outside of our control (including industrial action, acts of terrorism, explosion, fire, flooding, and failure of power and/or water supplies or emergency evacuation) means that we are unable to make your room available to you. In such event we will contact you to let you know as soon as possible and if you have already paid for your room, we will refund your payment to you, or if you have not yet paid for your room, you will not have to make any payment to us. Save as set out above, we will not be liable or responsible for any failure to perform, or delay in performance of, any of our obligations that is caused by an event outside of our control. Such limitation of liability does not affect your statutory rights. A reservation of four rooms or more is usually considered a group booking and cannot be made through our site. For group bookings please phone or email the relevant hotel. We reserve the right to terminate a reservation of four or more rooms, either through a single transaction or multiple transactions, which we determine was made through our site in a fraudulent manner or in such a manner so as to avoid the group booking requirement. Bookings made through a third party website are subject to that site’s terms and conditions. Please be aware these may differ from ours. Guests must be a minimum of 18 years of age, unless accompanied by legal guardians. We require valid photo identification on check-in in the form of a NZ Driver’s License or Passport. Infants under 5 years of age may use existing bedding free of charge. This is limited to one infant per private room. This must be arranged prior to check-in. Children older than 5 years old must be included in room occupancy. An adult legal guardian must be in the same room as children under the age of 18 unless pre-approved at the discretion of the Hotel Manager. Assistance dogs, such as guide dogs, hearing dogs, and dogs for those who are disabled, are permitted. Otherwise we uphold a strict ‘no pets’ policy. The maximum number of guests per room type is clearly specified on our website and via all our online agent sites. Failure to book appropriate rooms/bed numbers for your group may result in members of your party being turned away and/or penalty charges. Guests must be at least 18 years old in order to make a reservation or complete a purchase through our site or any other booking channel. In using this website and submitting credit card details you represent and warrant that you are of sufficient age to create a legal binding obligation for any liability incurred. For the avoidance of doubt, any persons aged 17 years or younger must be accompanied by a parent or legal guardian for the duration of their stay in one of our hotels. All guests must provide valid photo identification in the form of a Driver’s License or Passport at check-in. Haka Hotels recognises the privacy concerns of its customers, clients, guests, contacts and the users of its website. We store your details in our Property Management System as a profile, which in the future can be used for any other bookings which will already have your preferences mentioned so we can cater all your needs. If you arrive earlier on the date of your stay we are more than happy to hold your bags for you until your room/apartment is available. Early check-in is subject to availability on the day of arrival and may incur additional charges. Should you wish to guarantee early check-in please book the night prior to arrival so that your room is ready. We require valid photo identification on check-in in the form of Driver’s License or Passport and evidence of your booking reference for bookings made via travel agents and OTA websites. Guests who are unable to provide valid photo identification at check-in may have their booking declined. The guest is not entitled to the provision of specific rooms unless the Hotel has confirmed this in writing. We request that guests advise us of late arrival plans (arrival times after 20.00 NZT) prior to date of arrival. On occasions that we have to close Reception during the night, directions on how to obtain the room key will be informed by the Haka Hotels Reservations Team prior to arrival. Entrance into the Haka Hotel building will be treated as an acceptance to our terms and conditions. In the event that the guest does not arrive for their booking, the booking will be cancelled in its entirety at 09.00 NZT on the morning after the reservation’s set arrival date. Haka Hotels shall inform the guest of charges payable, which may range from the cost of one to two nights depending on the length of booking. The Hotel is not obliged to keep the room/apartment available after this time. If remaining nights are required by the guest, the guest must notify the Hotel before 09.00 NZT and request that the Hotel sends an updated confirmation with amended dates of the reservation in writing. The remaining nights will then function as a new booking and the same No Show terms will apply. We request that guests fully vacate the room/apartment by this time. Belongings cannot be stored in the apartment after this time however we have secure storage available on request. Late check-out is subject to availability, must be prearranged and may incur additional charges. If you wish to extend your stay please contact the team with as much notice as possible; extensions are subject to availability and may result in a room move. If you wish to shorten your stay this must be done with at least 24 hours’ notice of your new check-out date. Any delays in vacating room after 11am will result in an additional fee on top of the room rate. The standard delay fee is 50% of the room fee if not prearranged. All non-guest visitors must be met by a named guest and signed in at reception before accessing the building. The named guest is responsible for the visitor whilst onsite and liable for any damages, and room fees for that the visitor incurs. There is a maximum of two non-guest visitors allowed access to the building per room/apartment unless otherwise pre-authorised with management. These visitors must be signed out by 10pm in compliance with our Fire and Egress process. If Haka Hotel guests wish to add extra people to their room occupancy this must be pre-arranged with the front desk team and must not exceed the capacity of their room/apartment. Smoking is not permitted inside any part of Haka Hotel buildings, this includes the use of vapes. There are designated areas for smokers outside the building. Any guest who smokes inside the rooms are liable to pay a cleaning fee. Any guest suspected or caught altering with smoke detectors or sprinklers will be asked to leave the property immediately without refund. Illegal drug use is strictly prohibited. We reserve the right to remove any intoxicated persons from the site that are deemed to be a hazard to themselves, staff, property or other guests. Our fire alarms are automatically connected to the fire service. 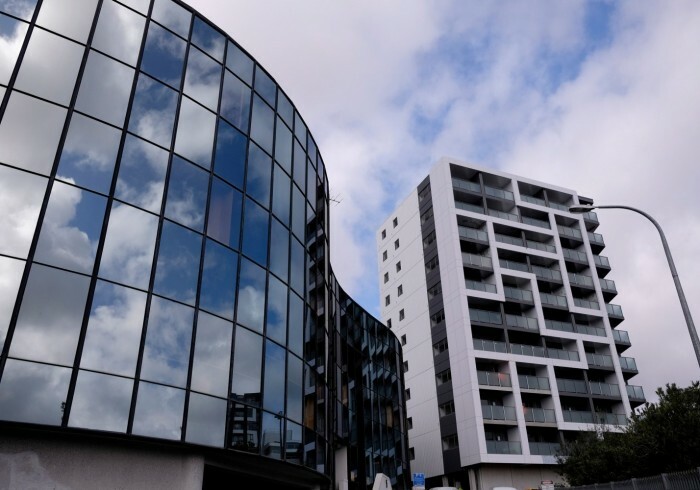 If there is evidence to suggest that a heat or smoke sensor has been set off purposefully or through a guest’s active negligence, heavy use of aerosol products or smoking/vaping in the building the guest will be liable to pay the fire service call-out charge (a minimum charge of NZ$1200). Any guest suspected or caught altering with smoke detectors or sprinklers will be asked to leave the property immediately without refund. If an apartment/room is left uninhabitable after check-out due to strong odour we reserve the right to charge the guest a cleaning fee. We ask guests to refrain from cooking strong odour foods (shellfish, fish, cabbage) in any of our rooms with kitchenette facilities. The use of additional kitchen or heating appliances in our rooms is strictly prohibited. Please be aware that cooking or food preparation in a room without a kitchenette is not allowed. For a stress-free stay for all our guests in the hotel, Haka Hotels requests that you be mindful of other guest trying to rest. After 10pm we request you to respect all other guests and keep the noise level to a minimum. Should we receive any noise-complaints this will be considered as a first warning and if repeated, we reserve the right to ask you to leave the hotel premises quietly. Threatening or dangerous behaviour is not tolerated and we reserve the right to refuse accommodation or evict guests who behave in such a manner. The hotel is liable with due care and diligence of a prudent businessman for its contractual obligations. The guest has no right to claim for compensation. This does not apply to damage due to injury of life, body or health, if the hotel is responsible for the breach of duty, other damages based on deliberate or gross breach of duty of the hotel and damages based on deliberate or negligent offence of contractual obligations of the hotel. A breach of duty of the hotel is on par with a legal representative or a vicarious agent. Should there be any disturbance or imperfection in service, the hotel will resolve the matter upon knowledge or reproach by the guest. The guest is obliged to make a reasonable contribution in order resolve the problem and to minimize the possible damage. We are liable to you as a result of our breach of these Purchase Terms for reasons within our control, we shall only be liable for losses that are direct losses and a reasonably foreseeable consequence of such breach. Except as prohibited by applicable law or as set out in the “LIMITATION OF OUR LIABILITY” section, our maximum liability to you, whether in contract, tort (including negligence) or for breach of statutory duty shall in no event exceed the price of your reservation and purchase, if applicable, unless the Hotel Proprietors Act 1956 applies, in which case our liability will be limited to the maximum prescribed under that Act. The hotel executes wake-up calls with due care. Messages, correspondence and consignments for guests are handed with due care. The hotel will take care of the delivery, storage and (if requested) forwarding at the guest’s costs. The client has no right to claim for compensation except in the case of intent or gross negligence. Retain all sums paid by you and/or charge you the full amount of your reservation. Charge for any damage, loss of revenue, missing hotel property, handling fees. Refuse future reservations from you and/or refuse you entry or accommodation at any of our hotels. We will not be liable for any refund or compensation in such circumstances. Belongings that are left at Haka Hotel will be securely stored for up to 90 days. After this time items deemed of value lower than $50 will be donated to our favoured local charity. Items deemed of greater value than $50 will be registered and transferred to the local police station. Haka Hotel are not liable for lost property and storage. If you believe you have left behind any of your personal belongings, please contact the hotel reception so this can be traced and returned to you as soon as possible. Guests are liable for handling, postage and courier costs or charges for returning lost property. Alternatively, lost property can be collected in person from the Hotel Front Desk. Where a guest feels that we have not responded adequately to an enquiry, or otherwise wishes to raise a dispute with us, guests can contact our Accommodation General Manager at maria@hakalodge.com. We will endeavour to resolve the matter promptly. Haka Hotels strongly recommend that at the time of booking you purchase comprehensive travel insurance to cover items including but not limited to: loss of booking amount through cancellation, loss or damage to personal luggage or possessions, loss of money and medical expenses. When you post and/or tag any social media content (including, without limitation, photos, text, graphics, audio, video, location information, comments or any other materials) in relation to one of our Haka Hotels properties on social media sites (such as Instagram or Facebook), we may request your permission to use this Social Content in connection with our business. Such use may be in conjunction with our website, electronic media and/or print material. By consenting to our request to use your Social Content, you agree to us publishing your name or username associated with that content, and using all or any of your Social Content. • You own, or have obtained from third parties, all appropriate rights in your Social Content. • The Authorised Entities' use of your Social Content will not violate the intellectual, proprietary or other rights of any third party, or any applicable law. • The Social Content is not libellous, defamatory, obscene, pornographic, abusive, indecent, threatening, hateful, offensive or otherwise unlawful. You release the Authorised Entities from any liability relating to its use of your Social Content in accordance with these Social Media Terms. Our site is made available free of charge. However, if you access our site through a mobile device, your mobile service provider may apply additional charges. You agree not to use our site or transmit any information or communications to or through our site in a manner that violates any domestic or international law or is (or is intended to be) fraudulent or abusive. All information or communications transmitted to or through our site must not: contain any defamatory, libellous or obscene material, as determined by us; infringe upon the rights of any third party; or contain or otherwise constitute junk mail, spam, solicitations (commercial or non-commercial) or bulk communications of any kind. We and our affiliates may cancel or modify any transaction (or any part thereof) where it appears that you have engaged in fraudulent or inappropriate activity or where it appears that the transaction contains or resulted from a mistake or error. We (by ourselves or through our affiliates) are the owner, licensee or permitted user of the intellectual property rights in our site and of the content and material published on it. Those works are protected by copyright laws and treaties around the world. All such rights are reserved. You must not use any part of our site for commercial purposes without obtaining a licence to do so from us or, as the case may be, our licensors. You must not copy, display, modify, download, reproduce or transfer to a third party any of the content or materials on our site in any way without our prior written permission. However, unless otherwise stated on our site, you may print and/or download an extract of any page(s) from our site for your personal use provided you: do not modify the printed copies or extracts; do not use any illustrations, photographs, video or audio sequences or any graphics separately from any accompanying text; and ensure that our status (and that of any identified licensors or contributors) as the owners of content on our site is acknowledged. If you breach this provision, your right to use our site will cease immediately and you must, at our option, return or destroy any printed copies or downloaded extracts of our site. Haka Hotels does not and will not guarantee that any file and/or program available for download and/or execution from or via this website is free from viruses or any other condition that may damage or interfere with data, hardware or software that may be used. On agreeing to these terms you release Haka Hotels from all responsibility for the consequence of its use and take responsibility for all risk of use of programs and files on this website. Haka Hotels – Affordable Luxury for Today’s World Traveller. Haka Hotel Suites - Auckland City offers style-led affordable luxury in the heart of Auckland's most vibrant central district. With stunning harbour views and carefully curated furnishings, our self-contained suites offer the perfect sanctuary in the city whilst still being an easy walking distance to some of Auckland's best eateries, shops and attractions. As with all Haka Hotels, the suites are carefully crafted to maximise your experience of New Zealand’s cities. Whether your focus is recharging, exploring or business our blend of personalised service, contemporary design and ultra-modern technology will make your journey seamless.